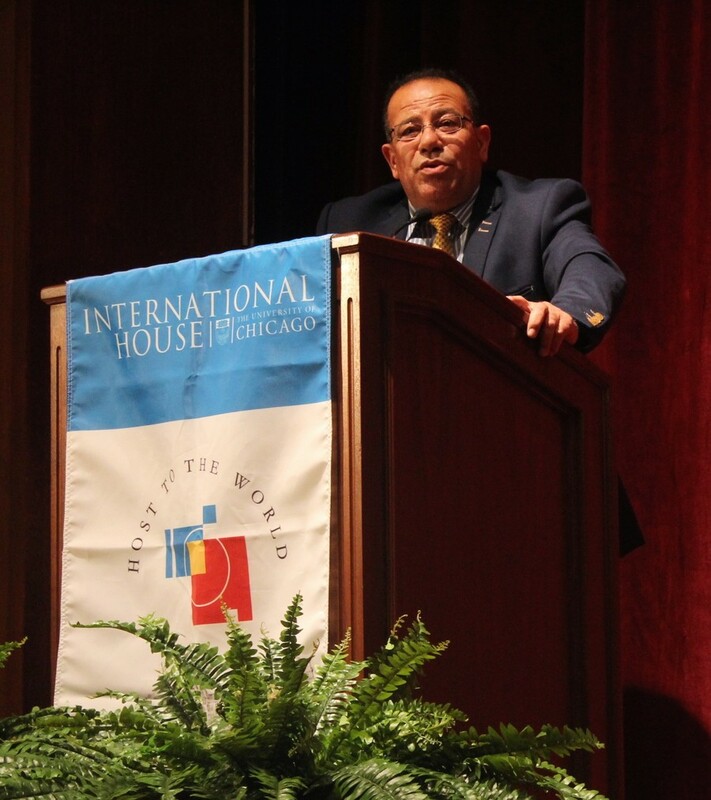 An International House (I-House) event featuring Bassem Eid, a Palestinian human rights activist, abruptly came to an end Thursday night when disagreements between Eid and members of the audience led to police intervention. Eid is a vocal critic of the Boycott, Divestment and Sanctions Movement (BDS). BDS is a global campaign that seeks to increase political and economic pressures on Israel to change its policies toward the West Bank, Gaza, and its Arab citizens. After Eid spoke about some of the issues facing the Gaza Strip, the Palestinian authority in the West Bank, and what he characterized as the beneficial impacts of Israeli presence, the Q&A portion of the event began. A man in the audience seated with members of Students for Justice in Palestine (SJP) introduced himself as a Palestinian who had grown up in Gaza. He began to ask how the divisions in Palestinian leadership came about, questioning “what brought Palestinians to a place where they have to go work for their occupiers,” when the conflict between Eid and the audience member began. Eid and the audience member began speaking over one another, and tensions quickly rose. The audience member was eventually ushered away by I-House staff. Two more students proceeded to ask questions, the second of which followed a similar vein as the first question. “Why are we here justifying Palestinian violence and zero things about Israeli violence?” the third audience member asked. “On the division of the Palestinians I will never, ever accuse Israel,” Eid responded. “If Israel wanted to keep us divided, what is the good to them?.... When will we, the Palestinians, start taking responsibility for what is going on to ourselves?” he said. After this statement, the two students, along with others, began to further challenge Eid. They shouted back at the speaker and Eid and the audience members began arguing over one another once again. When Eid began to respond, an audience member began to shout out at him, questioning his position as a Palestinian and a human rights activist. “Do not speak on behalf of the Palestinians again!” he yelled. UCPD officers, who had been at I-House since the start of Eid’s speech, eventually intervened, removing the two other audience members from the building and officially ending the event. Eid was also quickly removed from the I-House Assembly Hall by UCPD officers. According to a statement on Eid’s Facebook page, the questioner from Gaza threatened him. Second-year Adam Biesman, who attended the event, said that students who were sitting near the two men asking the questions heard the questioners mutter offensive, aggressive words and expletives before approaching the microphone. Third-year Maurice Farber, president of the Israel Engagement Association, which describes itself as a “platform for pro-Israeli activism on campus,” said he also heard threats. Farber was sitting in close proximity to the questioners when he heard the students threaten to kill Eid if he did not stop speaking. “[Eid] never answered the inappropriate questions and attempted to speak calmly and without inciting more aggressive behavior,” Farber said. “But the guy who asked the original question maintained an increasingly high level of aggression. The aggressive individual kept shouting and maintained his distance from the UCPD officers, running around to the other side of the column of seats and refusing to be kicked out.” Biesman corroborated this part of Farber’s account. According to first-year Isaac Johnston, who is the social media coordinator for J Street UChicago, one of the event’s sponsors, Eid refused to respond to the first man’s question regarding how Palestinian leadership had become so divided and, instead, continued to absolve America and Israel of all responsibility. “Although we do not support disruptive or threatening behavior, we also do not support the silencing of divergent opinions,” the J Street board said in a statement posted on its Facebook page. Third-year Zach Taylor, a member of SJP UChicago, said that the speaker’s refusal to answer the Palestinian student’s question indicates that some perspectives are valued more than others. Taylor also noted that no Palestinian, Arab, or pro-Palestine student or RSO was consulted in the organizing of the event. “It’s just so obvious how artificial and disingenuous the event was,” he said. In an interview with The Maroon, Eid said that the Palestinian student could only display a sense of nationalism by criticizing Israel. “They hand Israel all of their faults. The Palestinian student disagreed with me because, in his eyes, I didn’t show my own nationalistic faith during my lecture simply because I refused to put the blame on Israel.” Eid believes that the students came the event to spread their own message and ultimately shut the event down as quickly as possible. Early Friday morning, Mr. Eid released a video of the lecture on YouTube, referring to the individuals who asked him questions as “Gangsters of the BDS” in the name of the video. Johnston also stated that Eid had supported dialogue as a solution to the conflicts facing Gaza. This, he believes, is an ironic contradiction of Eid’s actions at the event and on YouTube.